DOES IT FIT? Her excited smile says it all – with Dancina’s record you needn’t have worried! We have a 4.6 star rating and as you’ll see on the listing, we also score a WHOPPING 94% on Amazon’s “fits as expected” results. HOW ABOUT THE QUALITY? 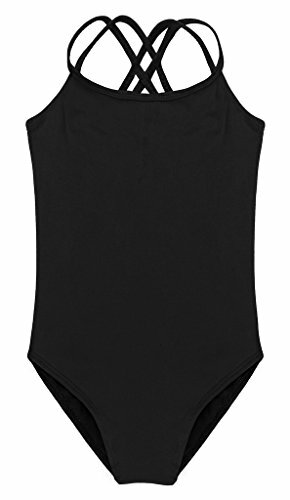 We’re very sure about the quality of this cute dance leotard, but decided we just can’t improve on a recent customer comment “It fits her perfectly. I love this leotard. It has an extra layer of material on the inside front. I love that. It’s easy to put on and take off. She can move around very easily in it. It’s just a great leotard!” Praise indeed – who needs a marketing department ?! SHE’LL LOVE THE STYLE and YOU’LL LOVE THE PRICE. 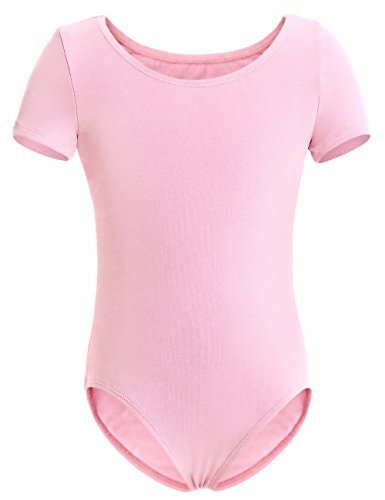 Just as important you’ll love the age appropriate neckline and the full front lining on every single colour, which is often quite difficult to find for little ones. DOES IT FIT? Her excited smile says it all - with Dancina's record you needn't have worried! 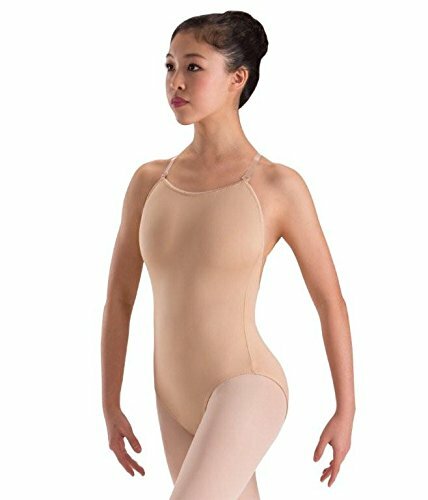 We're very excited to introduce this new flutter sleeve leotard responding to many customer requests after they bought our best selling flutter sleeve dress, which has a WHOPPING 81% Amazon "fit as expected" survey score. HOW ABOUT THE QUALITY? 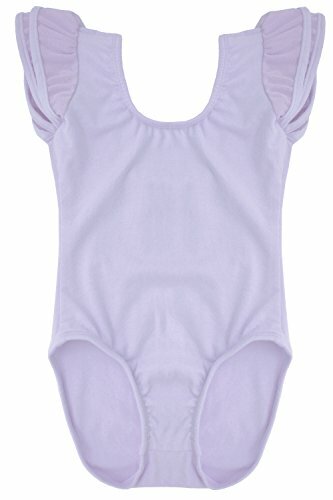 As the sky blue gymnastics leotard is the same as the flutter sleeve dress mentioned above, we hope to be at 5 stars in no time at all, and here's hoping you'll start the 5 stars rolling! SHE'LL LOVE THE STYLE and YOU'LL LOVE THE PRICE. 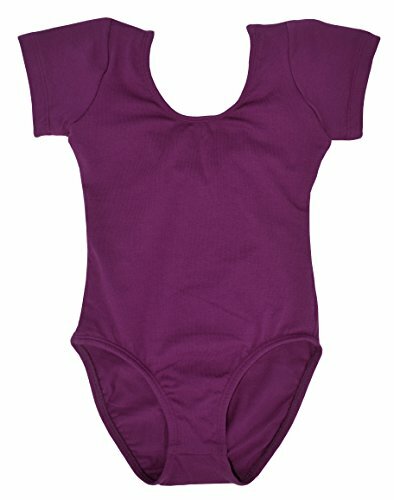 Just as important you'll love the age appropriate neckline and the full front lining on every single colour, which is often quite difficult to find for little ones, as mentioned by Dancina's thousands of leotard customers.